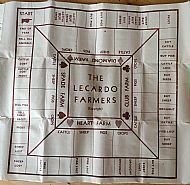 Lecardo is a pack of special cards with a fold out paper pitch. 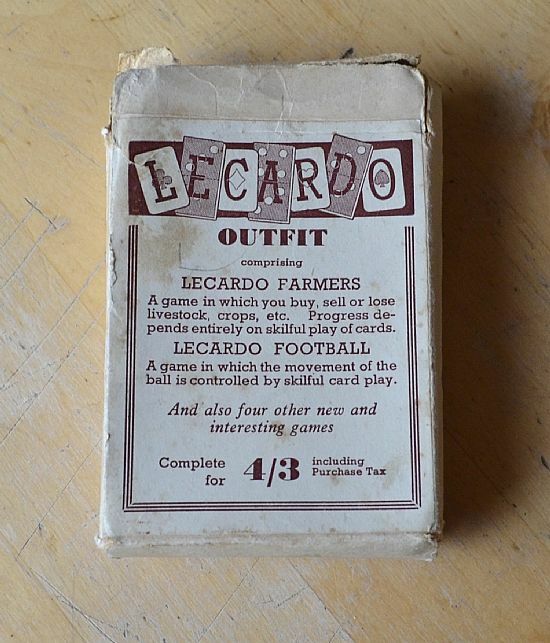 The main game is called Lecardo Farmers and Footbll is an additional game that can be played and for which a pitch is supplied. 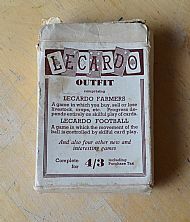 Nice pack of cards with fold out paper pitch. The card designs are lovely. 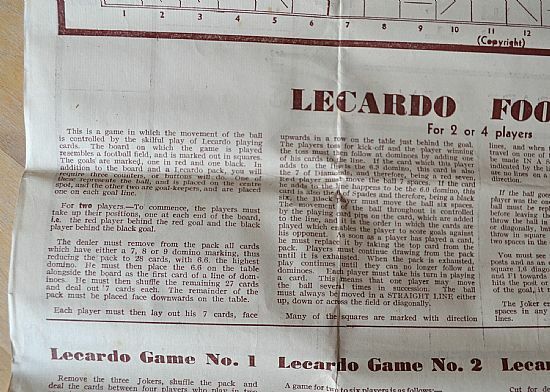 There is a fold out pitch to play the game on, three counters are needed - a ball and two keepers. 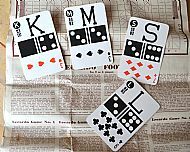 Can't be arsed to read them, you use the domino parts of the cards. 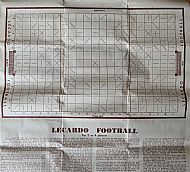 The football game used the domino parts of the cards, the other parts of the cards are used for other games. 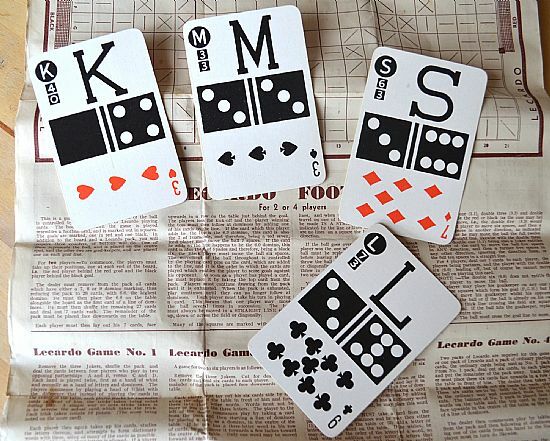 Really lovely card designs. 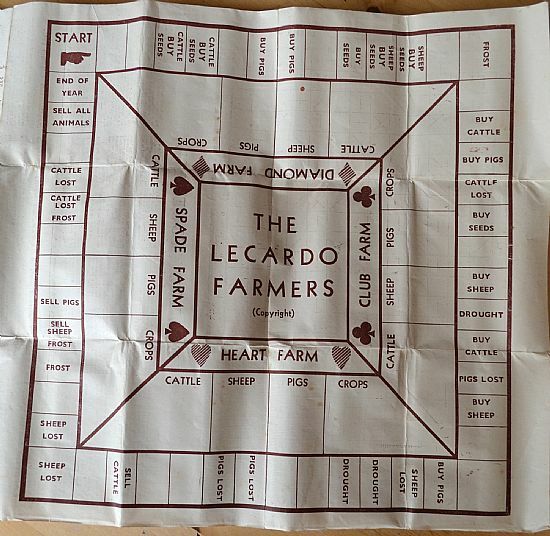 No doubting that the main game on offer is Lecardo Farmers which has a much more complex board. 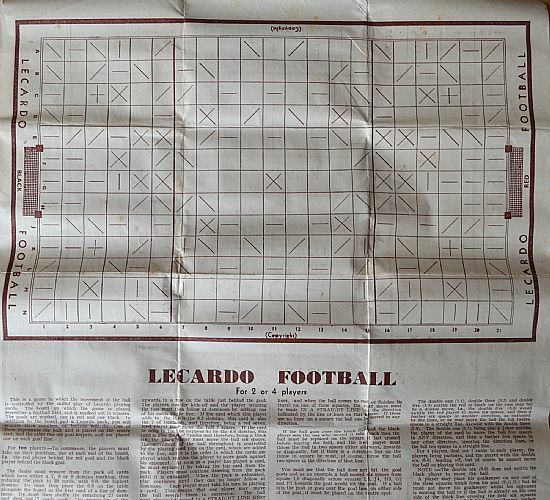 Frost, lost pigs, drought, this game has it all.